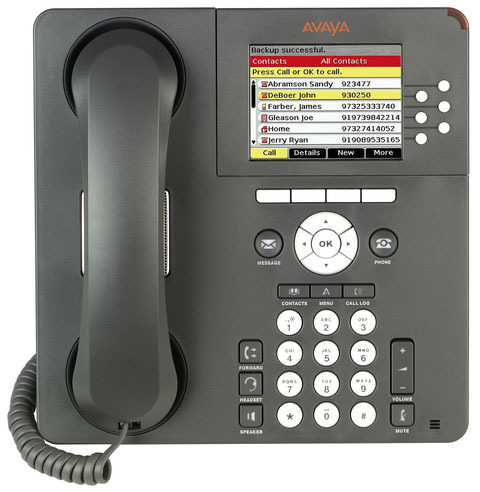 Avaya 9640G IP Deskphone delivers the advanced communications capabilities of the regular Avaya 9640 with a secondary GigE port for a workstation or PC. The 9640G features a 3.8" color backlit display, 6 line appearances supporting up to 24 call appearances or features, 4 softkeys, 4 navigation buttons, Built-in full duplex speakerphone, and Dual message waiting indicators. The Avaya 9640G is compatible with IP Office R6.0 or higher only on IP500 and IP500 V2 control units. H.323 version supported by Avaya Communication Manager R3.0 or later. SIP version supported by Avaya Communication R4.0 or later.